Scouting for a Christmas buffet, dinner or brunch to enjoy a perfect get-together with your loved ones this Christmas 2018? We have got your back! 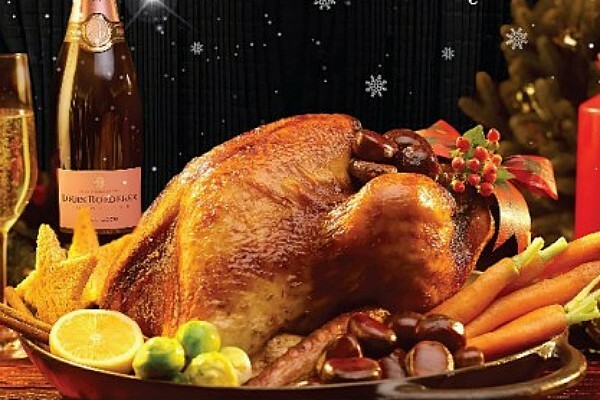 Check out our hand-picked list of the top Christmas buffet in Malaysia! Love to see more? 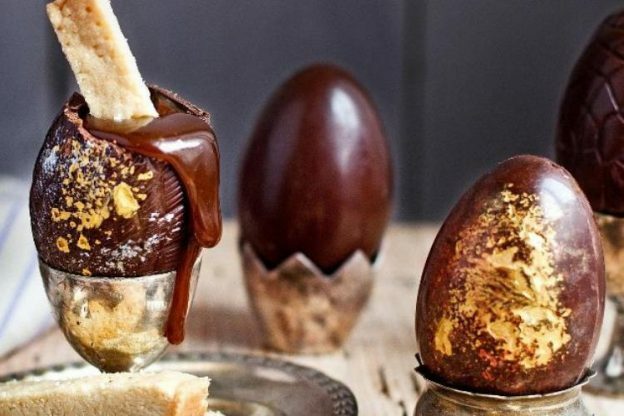 Don’t miss out our list of Top Restaurants that Serve Festive Menus During Christmas 2018! 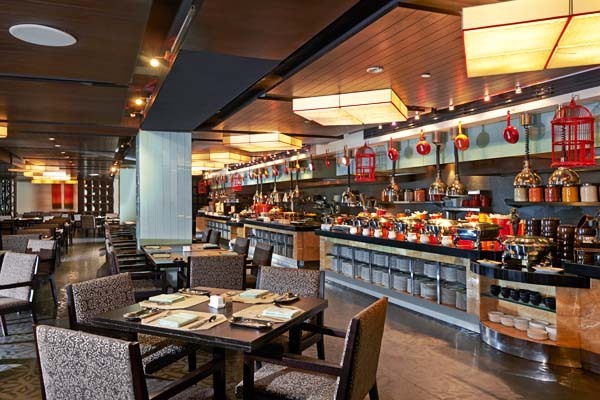 Much-loved for its all-day-dining concept featuring impressive buffet with choices of Asian and international favorites, Vasco’s is one of the must-go destinations for this Christmas 2018. 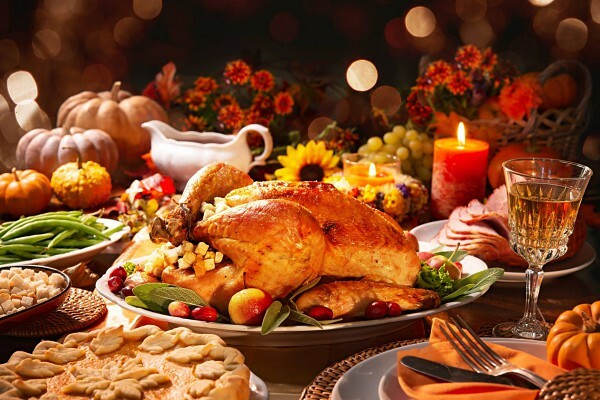 Feast on delectable specialties and traditional delights such as Roasted Turkey, Gingerbread Goodies, Chocolate Yule Log, Cinnamon Stars and a plethora more. – Christmas Countdown: 1st Dec 2018 – 1st Jan 2019 (except for 24th & 25th Dec 2018) at RM140 nett per adult | RM70 nett per child (lunch); RM168 nett per adult | RM84 nett per child (dinner). – Christmas Eve Buffet Dinner: 24th Dec 2018 at RM200 nett per adult | RM100 nett per child. 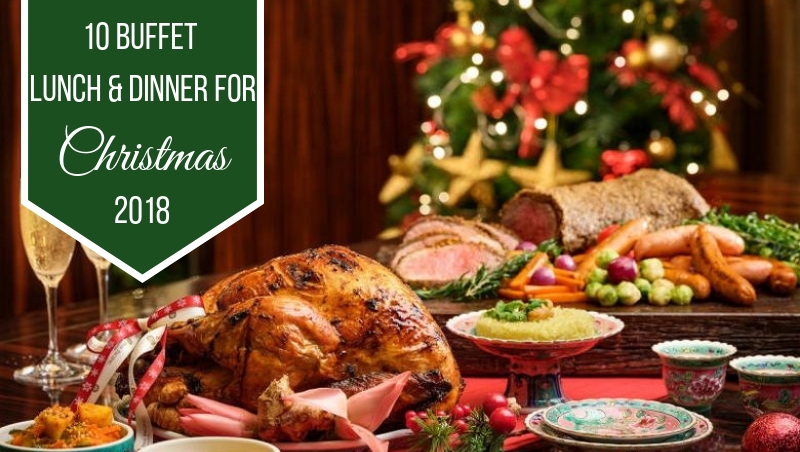 – Christmas Day Buffet: 25th Dec 2018 at RM228 nett per adult | RM114 nett per child (lunch); RM200 nett per adult | RM100 nett per child (dinner). A Christmas feast with delicious festive offerings and mouth-watering roast with chef’s special recipe would be all you could ask for! 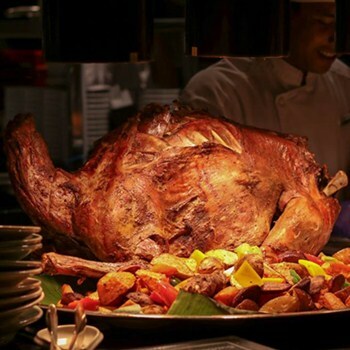 Head to Paya Serai, Hilton Petaling Jaya to be gratified by impeccable service and to dig in a hearty buffet spread of great delights and tantalizing cuts of Whole Roasted Turkey, Lamb, Venison and more. 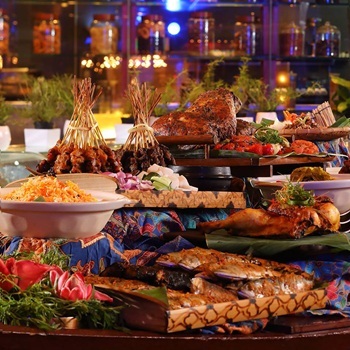 – Christmas Eve Buffet Dinner: 24th Dec 2018 at RM168 nett per adult | RM88 nett per child. 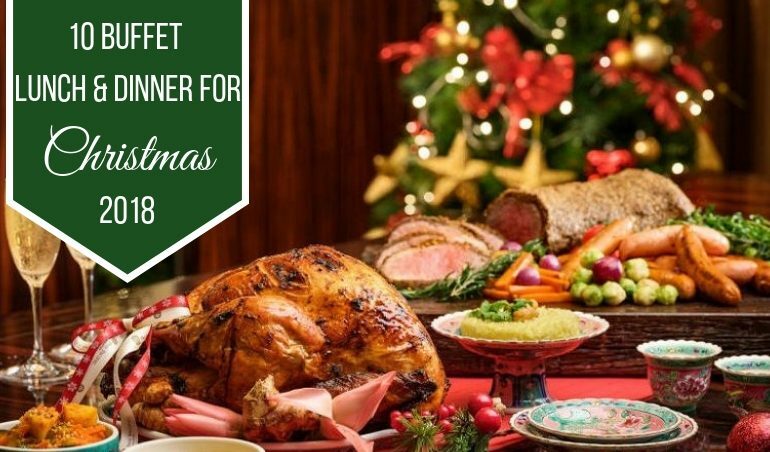 – Christmas Day Buffet Dinner: 25th Dec 2018 at RM148 nett per adult | RM78 nett per child. If you would love to take joy in Christmas by celebrating with a sophisticated European fine-dining Christmas brunch, Soleil would be your perfect place to be. 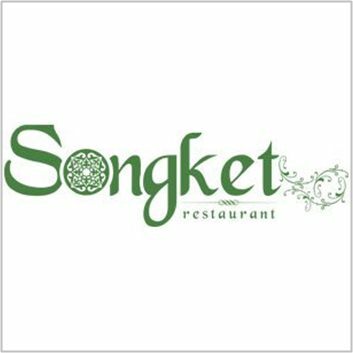 Delight your taste buds with an a la carte brunch buffet featuring unlimited order of starters such as Roasted Chestnut and Pumpkin Soup, Grilled Goat Cheese Salad, Shrimp Cocktail, Irish Oysters; unlimited order of mains including Christmas Turkey, Barbecue Stingray, Roast Beef and more! 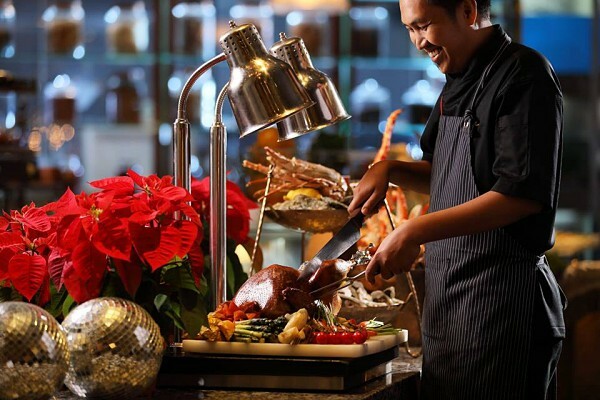 – Christmas A La Carte Brunch Buffet: 25th Dec 2018 at RM160++ per person. As a unique open-concept kitchen in Starhill Gallery, Shook! 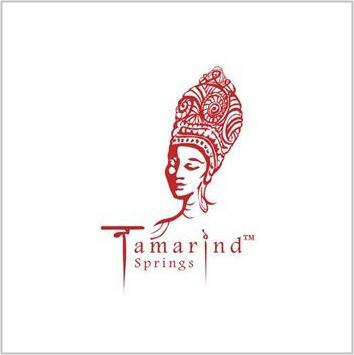 has been captivating all the senses with its stunning dishes that will satisfy even the most discerning diners. 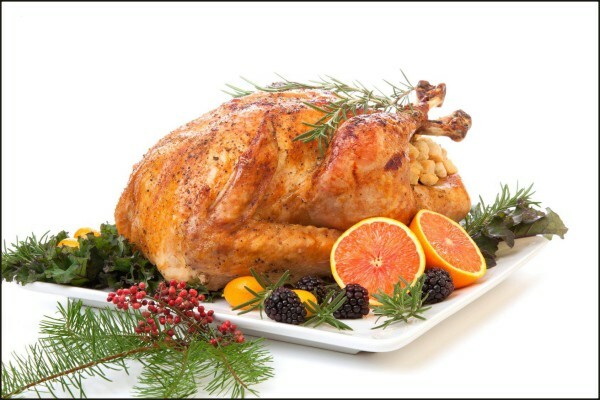 Pamper yourself with a wide spread of festive buffet items with palate-pleasing Roasted Turkey, Prime Rib with Yorkshire Pudding, Lobsters Thermidor, Whole Roasted Lamb, Salmon Steak and other delights. 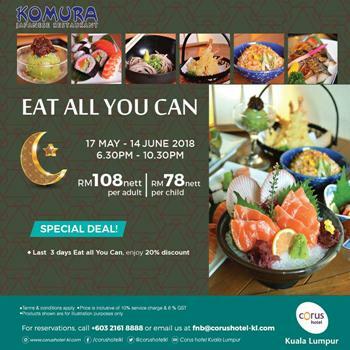 – Festive Seafood Buffet: 23rd Dec 2018 at RM188 per person. 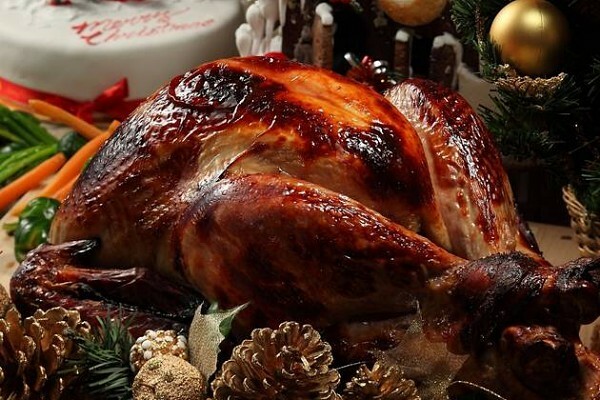 – Christmas Dinner Buffet: 24th Dec 2018 at RM218 per person. 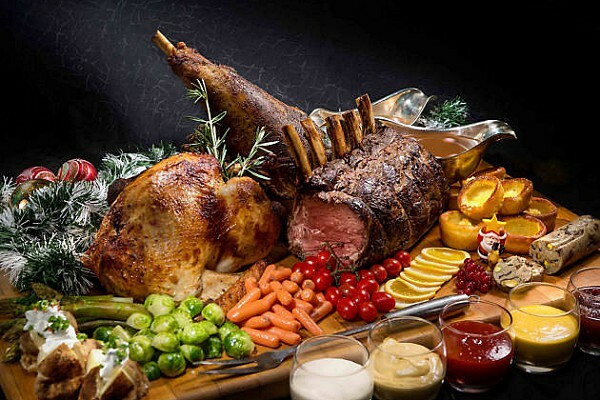 – Christmas Day Surf & Turf Buffet Brunch: 25th Dec 2018 at RM158 per person. 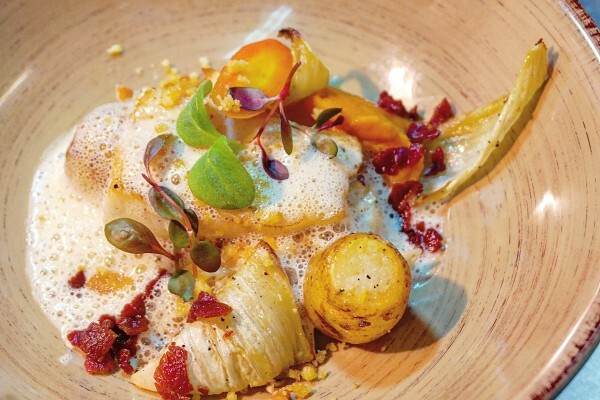 >> Click here to view Christmas menu and book a table at Shook! 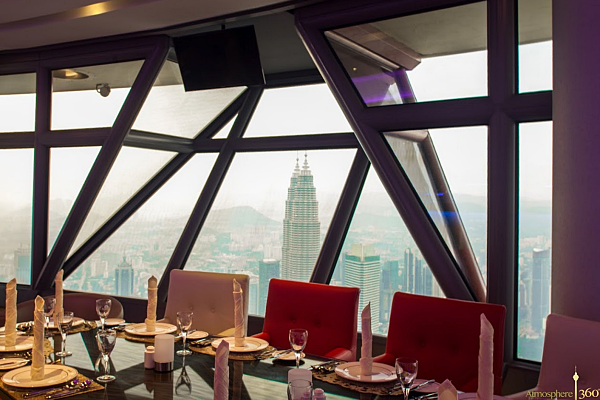 Celebrate this Christmas at the highest revolving restaurant in Kuala Lumpur, why not? Revel in the splendid atmosphere, breath-taking view of the city at Atmosphere360 Revolving Restaurant while enjoying the most delectable items specially made for Christmas while being serenaded by soothing background music. – Christmas Eve Dinner: 24th Dec 2018 at RM366 nett per adult | RM266 nett per child (1st session from 6pm – 8.30pm); RM433 nett per adult | RM366 nett per child (2nd session from 9pm – 12.30pm). – Christmas Brunch: 25th Dec 2018 at RM166 nett per adult | RM155 nett per child. 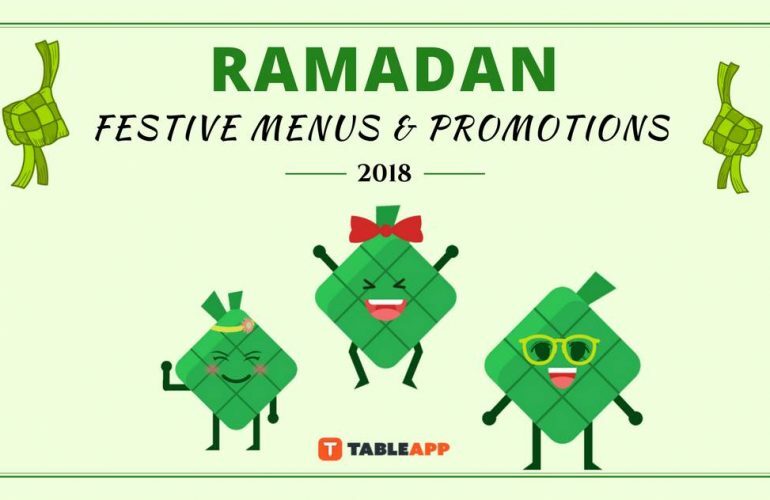 A joyful dinner at Makan Kitchen, DoubleTree by Hilton Johor Bahru would be ideal for your Christmas celebration as tantalizing cuts of meat and sumptuous festive specialties are awaiting! Hit the right note this Christmas by relishing Rosemary Lamb Shoulder, Beef Spare Ribs, Salmon, Tandoori Lobsters and a lot more! 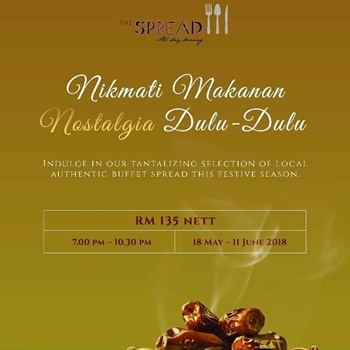 – Pre-Festive Buffet Dinner: 1st – 23rd Dec 2018 at RM118 nett per adult | RM59 nett per child. 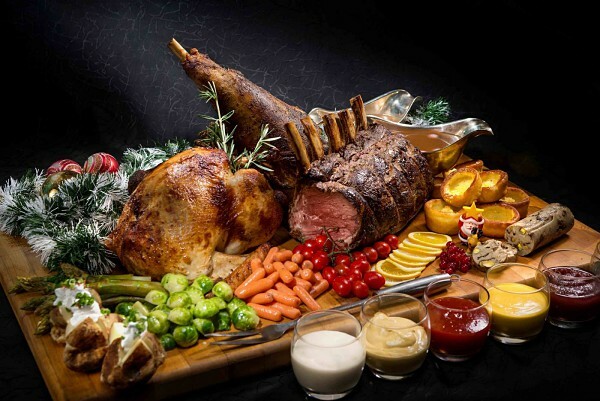 – Christmas Eve & Day Buffet Dinner: 24th – 25th Dec 2018 at RM168 nett per adult | RM84 nett per child. If you wish to take in the stunning view of Johor Bahru skyline while enjoying an extraordinary feast for Christmas, look no further than Tosca Italian Restaurant! Gratify your palate with a delightful buffet-style dinner of flavorful, mouth-watering BBQ cuts and an array of delicious local favorites! – Christmas Eve & Day Buffet Dinner: 24th – 25th Dec 2018 at RM188 nett per adult | RM94 nett per child. 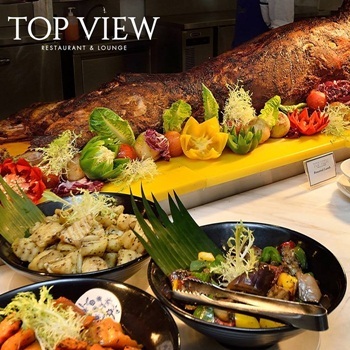 As TOP View Restaurant & Lounge is the highest gastronomical experience with 360 degree view of Penang – the beautiful world heritage city, there is no reason why you could forgo this restaurant for a special Christmas celebration. 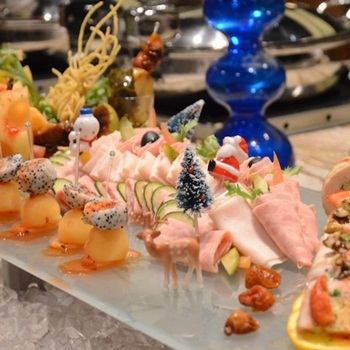 A galore of festive buffet are waiting to satiate your craving including items such as Orange Basted Roast Turkey, Hot Battered Rum & Pecan Crusted Ham, Chocolate Yuletide Log and more. – Christmas Buffet Dinner: 23rd – 24th Dec 2018 at RM138++ per adult | RM98++ per child. – Christmas Buffet Brunch: 25th Dec 2018 at RM88++ per adult | RM68++ per child. 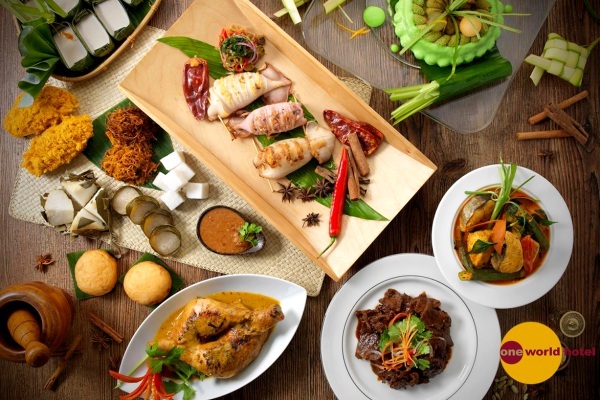 Your journey to Penang would not be complete without a taste of the world-famous Peranakan Cuisine which is offered at Three Sixty Revolving Restaurant & Rooftop Bar. Relish sumptuous local & festive delights featuring Roasted Turkey, Christmas Fruitcake, Veal Sausage, Grilled Lamb Chop, Prawn Cocktail and other delicacies. 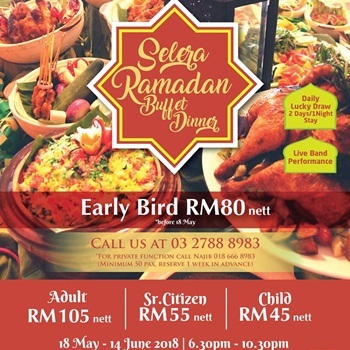 – Christmas Eve Dinner Buffet: 24th Dec 2018 at RM165+ per person. 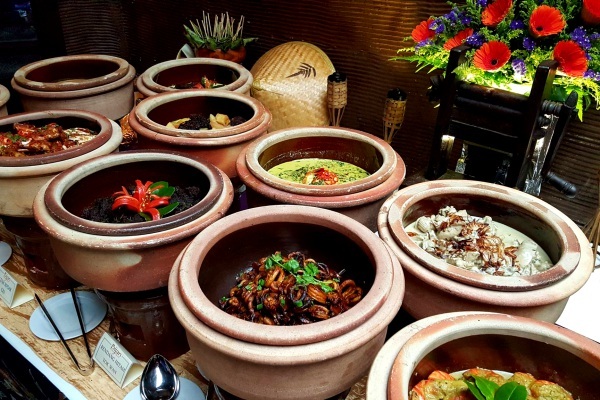 If you are scouting for a place to revel in global-inspired dishes and local favorites, you should not miss out a buffet at Urban Kitchen, Hilton Kota Kinabalu. 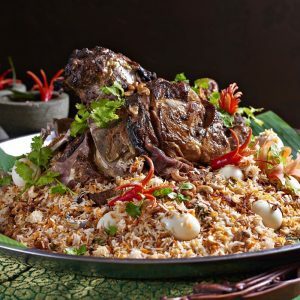 With an open kitchen offering live cooking stations of tantalizing festive items, delectable Malaysian cuisine and modern Western delights, this scrumptious Christmas treat at the restaurant would make a fulfilled get-together. – Christmas Eve and Christmas Day Dinner: 24th – 25th Dec 2018 at RM168 nett per person. 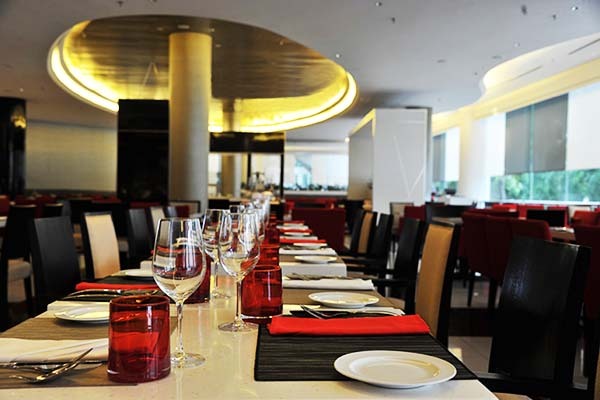 Location: Lobby Level, Hilton Kota Kinabalu, Jalan Tunku Abdul Rahman, Asia City, 88000 Kota Kinabalu, Sabah. 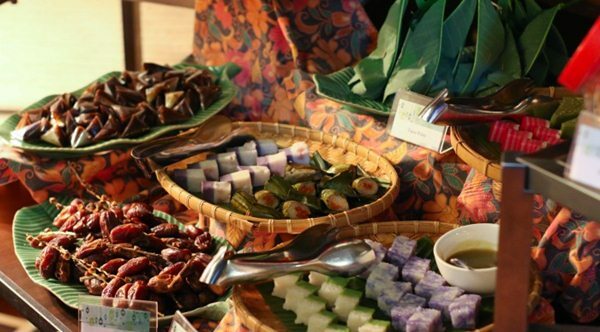 If you want to be drifted back to the colonial time while enjoying lip-smacking delights, you cannot simply ignore Old Malaya. 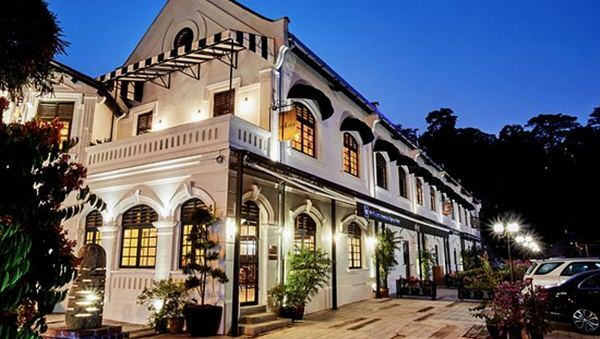 Located at Jalan Raja Chulan, the 99-year-old colonial building has been transformed from a prominent residential area to a dilapidated sanctuary and finally the home of numerous heritage-modelled restaurants that are much loved by Malaysians and tourists. Amongst towers of offices and gigantic malls, this old landmark stands out as a unique, worth-visiting aesthetic legacy to step back in time and value our past. Come to Old Malaya if you love to appreciate the glory days of Kuala Lumpur in the past through the remaining ornate walls that harken back to the old days. 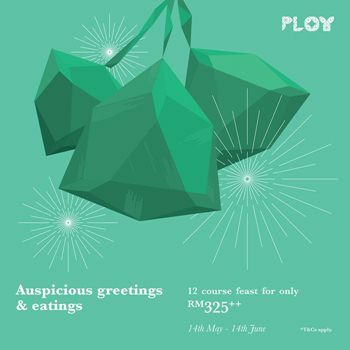 The journey to Old Malaya wouldn’t be complete without sitting at a restaurant here to revel in the magnificent view of the iconic KL Tower or the serene ambiance of this culinary enclave. 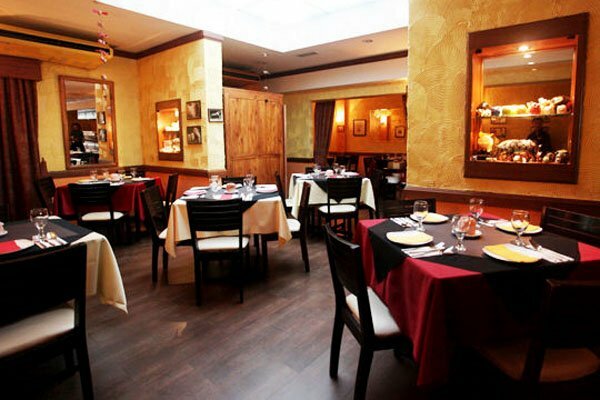 If you have a knack for steak, there is no reason why you should not opt for one of the best steakhouse in town – PAMPAS Steakhouse at Old Malaya. 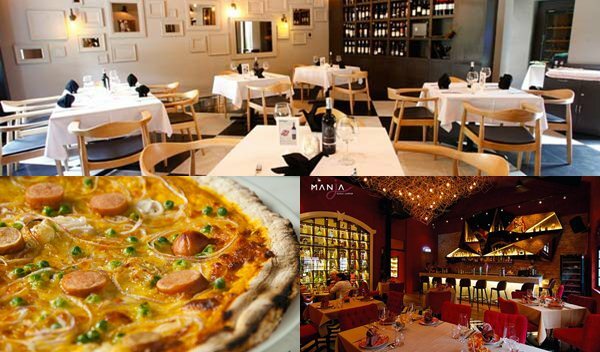 If you are into Malaysian-accented culinary with a modern twist, walk in Manja and it won’t let you down. Pier 12 Seafood Tavern will bring you to the sea with its freshest seafood while Luce Osteria Comtemporanea is where you can find yourself an authentic Italian wood-fired pizza and Junior Chellapa will gratify your Indian food craving by showering you with authentic Indian dishes. A few minutes further from Old Malaya and you will set your foot on the highest telecommunications tower in Southest Asia – KL Tower. As the highest and most spectacular tower of Kuala Lumpur currently, the gleaming KL Tower has a spindle-like apex that allows visitors to admire the city centre. Boasting a theatre, an amphitheatre and beautiful cascading pools, this tower is a definite must-see sightseeing attraction. 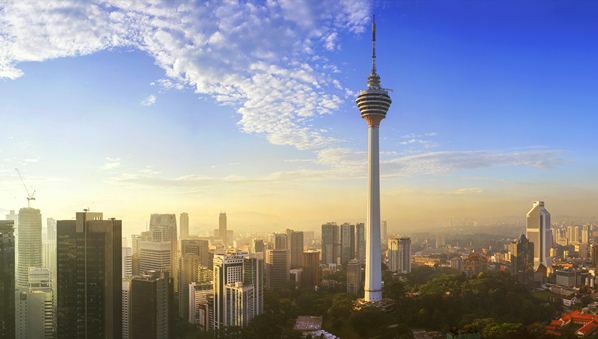 A visit to KL Tower would not be fulfilled without treating yourself to modern authentic Malaysian and international cuisine while rejoicing in the most spectacular view of the city centre at Atmosphere 360 Revolving Restaurant KL Tower. The more the better, you ask? 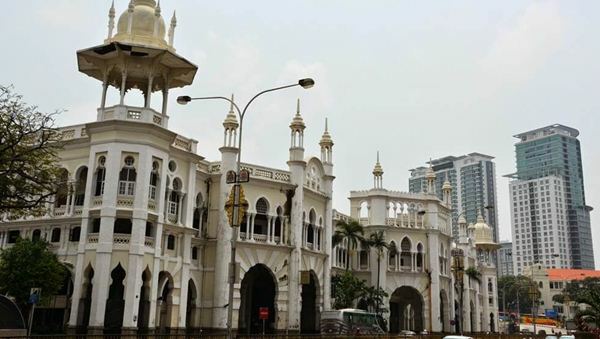 Buckle up and visit these famous landmarks – Kuala Lumpur Railway Station, Merdeka Square and National Museum of Malaysia. Designed by one of the most prolific British colonial architects – Arthur Benison Hubback, the old Kuala Lumpur Railway Station has marked its 118 years old this year and one who came here would not stop admiring the gorgeous facade of the gazetted heritage building, the dome-capped pavilions along the roof line and the Renaissance-like verandas with arched colonnade. 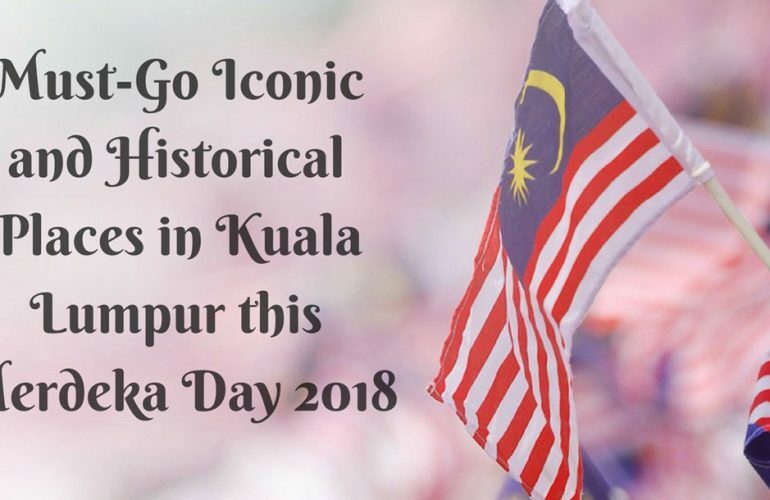 It would be a miss if you don’t visit Merdeka Square where the Malayan flag was raised for the very first time and take joy in the annual Merdeka Parade here. Keep in mind that when you are admiring the lofty flagpole that holds the flag of Malaysia, you are actually seeing one of the top highest flagpoles in the world! Merdeka Square is not only a historical place itself but is also ringed by the majestic charm of heritage buildings such as the prominent Sultan Abdul Samad Building and St. Mary’s Anglican Cathedral. Take a few steps further and you can pay the renowned Chinatown a visit. Finally, don’t forget to spend your time in the National Museum (Muzium Negara) which is the most principal museum of Malaysia. 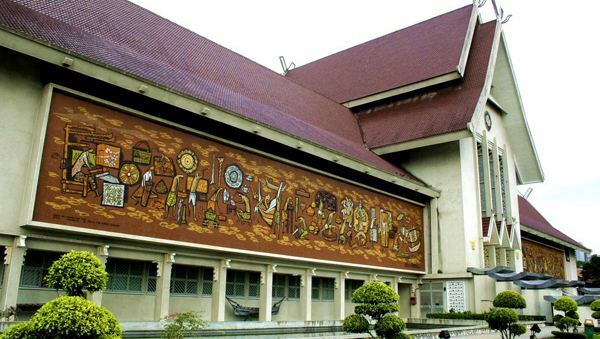 Set up in 1963, the museum is a repository of Malaysia’s rich cultural heritage. With its magnificent exhibitions and galleries, the museum imparts knowledge through the country’s historical past. Remember to admire the 3 note-worthy galleries here which are the History Gallery that traces back to the original days, the Cultural Gallery with a collection of various aspects of Malaysian culture and the Metalwork and Musical Instruments Gallery that showcases ceremonial ornaments and instruments. Feeling peckish after wandering for so long? 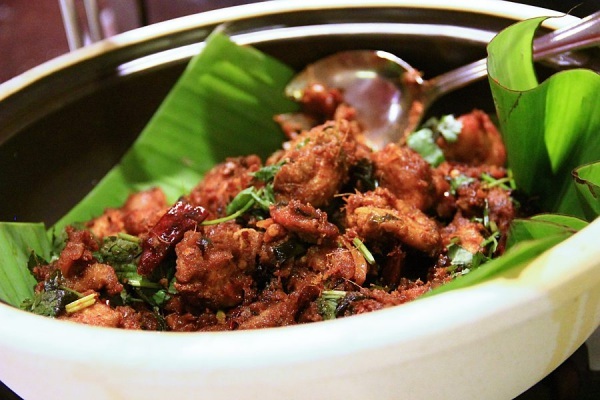 Don’t worry as there are a plethora of delectable food around for you to pamper yourself. 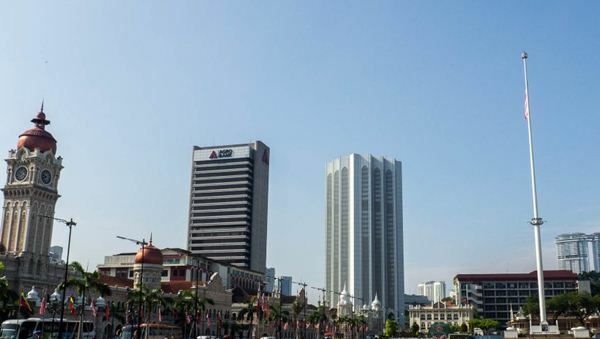 Just take a few steps away from the National Museum of Malaysia and you will reach Hilton Kuala Lumpur which is well-known for its notable restaurants. Rest at the newly refurbished The Lounge to adore the picturesque scenery or find yourself a comfortable seat at the polished marble counter at Oro Cafe with a freshly baked croissant. Yearn for a big meal? 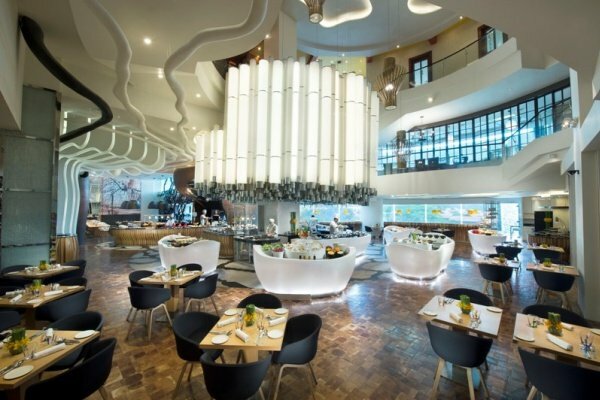 Walk in the all-day-dining Vasco’s for an impressive buffet of Asian and international favourites or savour classic dishes at the authentic modern European restaurant – Graze. You can also delight your taste buds with Japanese dishes at Iketeru or dwell in prime aged meat cuts or robatayaki-style skewers at Chambers Grill. 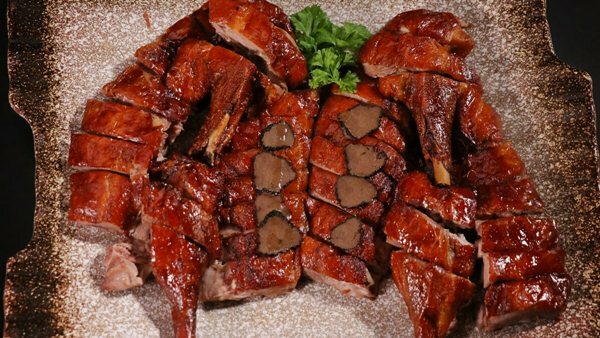 Don’t hesitate to go for Chynna where the marinated-to-perfection Peking Duck will satiate your taste buds. A few minutes further to Bangsar area and you are in the heaven of food! 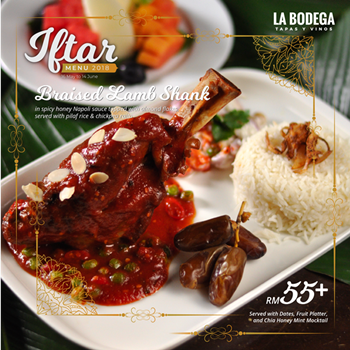 Head to La Bodega BSC if you are searching for Spanish food or Madam Kwan’s BSC if you love Malaysian-accented dishes. Visit Vineria.IT for authentic Italian delights or dance your way to Dancing Fish for lip-smacking Malay and Indonesian flavors. You can also opt for a Western meal at Ben’s Bangsar Shopping Centre or The Daily Grind Bangsar. 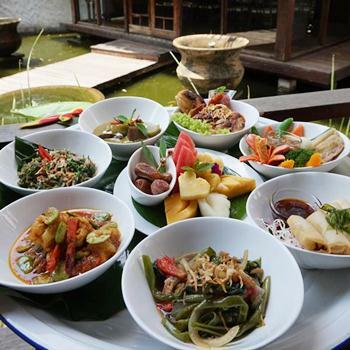 If you are tired of the hustle and bustle, Jalan Bangkung is a great choice where a long line of eminent restaurants are set to whet your appetite. 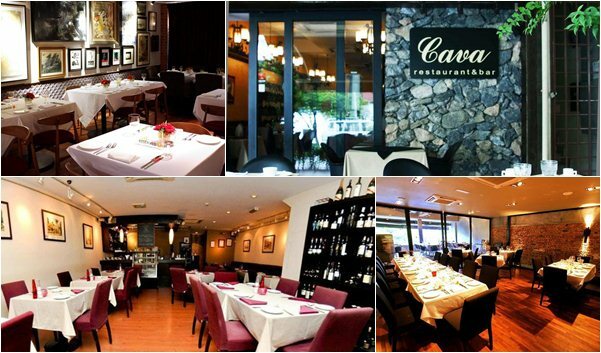 Savour Italian dishes at Opus Bistro or Leonardo ‘s Dining Room & Wine Loft, indulge yourself in Western food at Bobo KL, Lucky Bo or relish Spanish delights at Cava. Still want more choices? We have got your back! 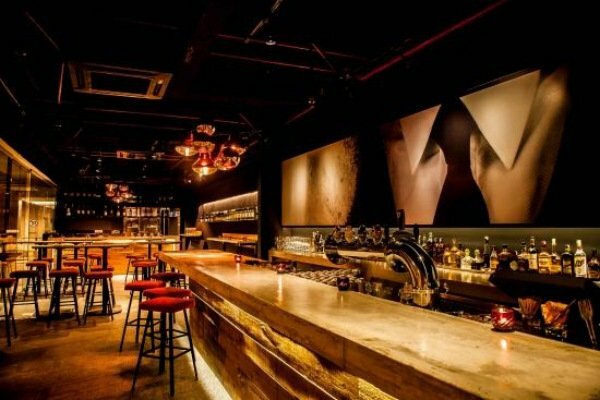 Take a short drive to Damansara Heights to treat yourself to Japanese Tapas (aka Japas) at Babe which is conceptualized by Michelin-starred chef Jeff Ramsey or relish Asian fusion dishes at PLOY. 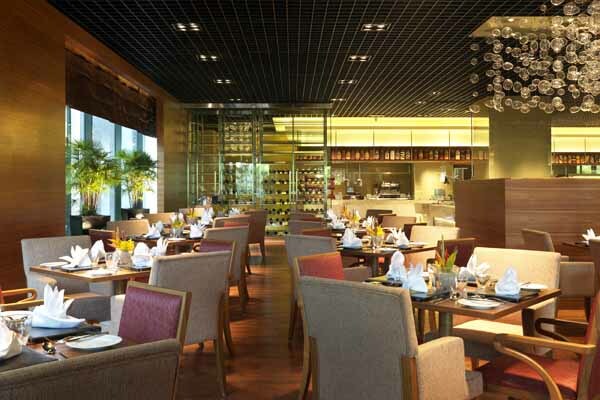 If you love contemporary Chinese cuisine, walk in Way Modern Chinois and try their iconic truffle roast duck or go to The Point or Mezze Bar & Bistro in case you are craving for Western-fusion delights. 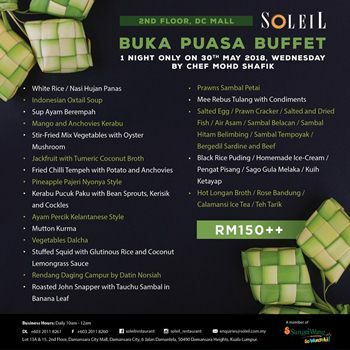 From 5-star hotel buffet to award-winning Malay fine dining restaurant, get your buka puasa meal sorted here! 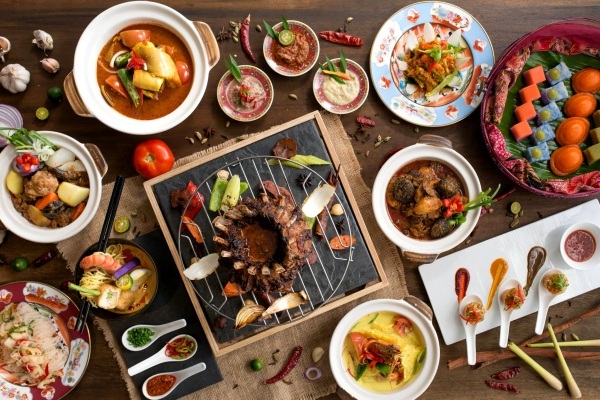 Starting from 27th May – 24th June, diners will be introduced to an array of unique, flavourful and colourful Peranakan signature dishes, cooked using fresh ingredients and traditional cooking methods. 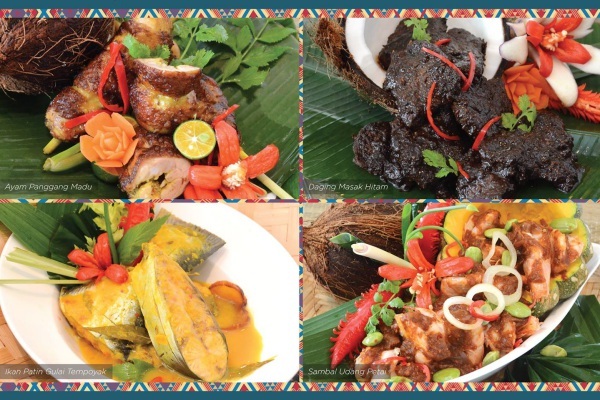 Dishes include Pai Tee, Kambing Pangang Berempah Portugis, Ikan Pari Gerang Asam, Nyonya Curry Laksa & more! 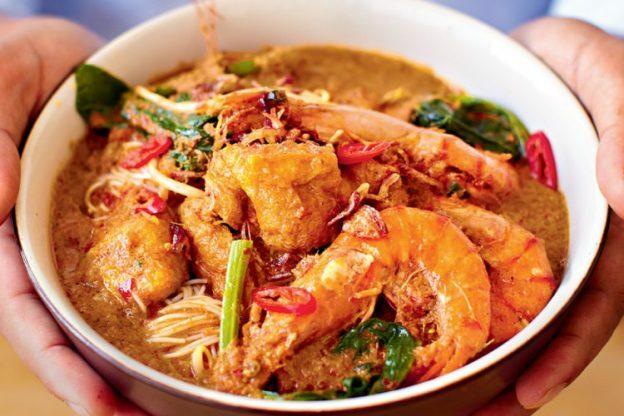 Don’t forget to bring complimentary Vasco's Signature Nyonya Curry Laksa homemade paste during this promotion! 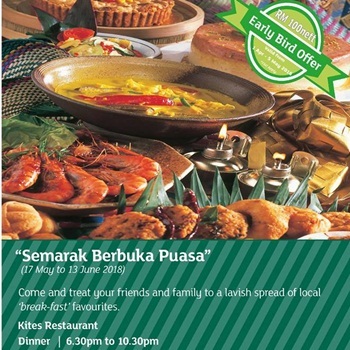 Buffet price is RM188 nett per adult, with Buy 1 Free 1 offer on selected dates. 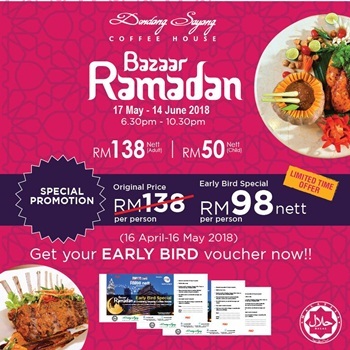 This Ramadhan, Chef Shawal and his culinary team will be taking diners through a food heritage journey. 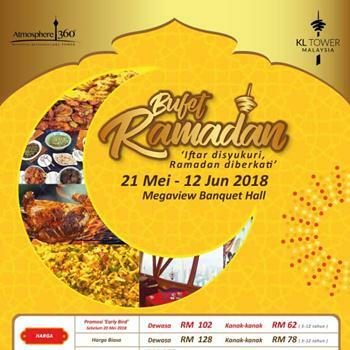 This year’s buffet comprises of 4 rotating menus based on the 4 regions in Malaysia – north, south, east and central, showcasing unique and iconic dishes like Keropok Lekor, Serabai, Lontong, Laksa Kedah, Sambal Hitam Pahang, Solok Lada, Asam Pedas Daging Tetel and many more. Grill stations and live-cooking stalls are available too! 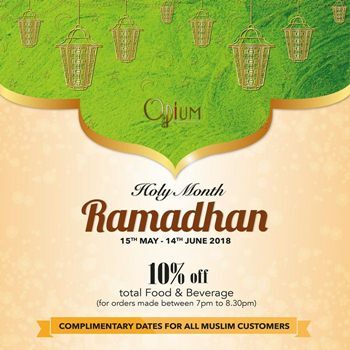 Make a reservation via TABLEAPP to enjoy special rate of RM110 nett per person. 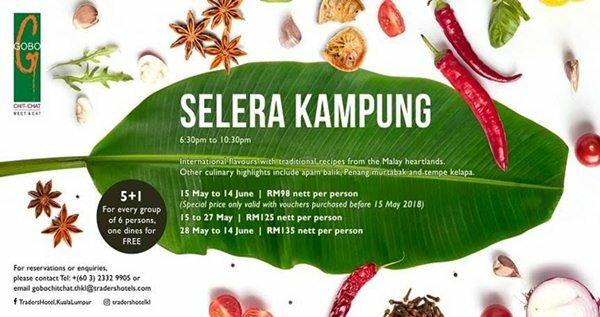 Executive Sous Chef, Saiful Baharin and his culinary brigade will be showcasing more than 100 authentic local dishes and flavours, from appetiser to desserts and anything in between to remind you of home. 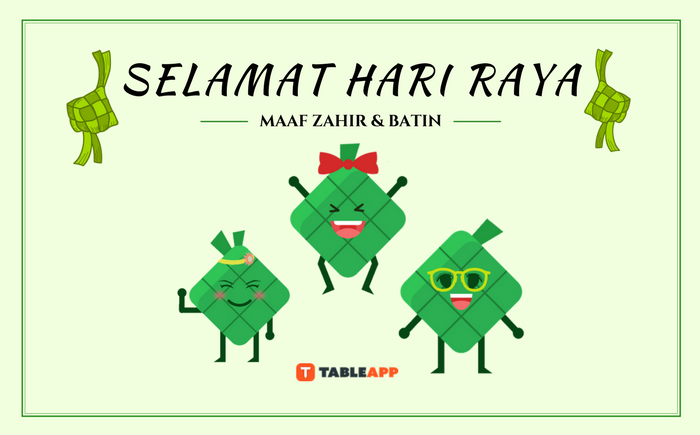 Get indulge in dishes like the Kambing Opor Daun Selum, Ikan Kari Asam Pedas, Daging Masak Tiga Rasa, Daging Deng Deng, Ikan Patin Masak Tempoyak, Bubur Lambuk, Sup Gearbox, Daging Kawah, Ayam Percik, Burung Puyuh Berempah and Sup Ekor Lembu Bersantan, and many more! 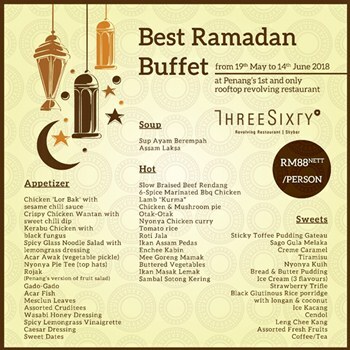 Buffet price is RM160 nett per adult. 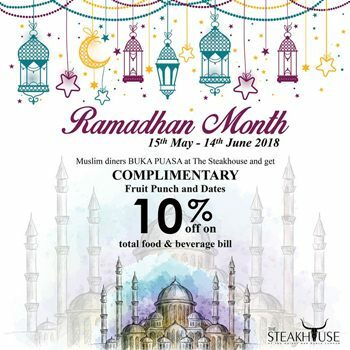 Experience a memorable Ramadhan at LINK with an all-inclusive Ramadhan buffet to share with family, friends and colleagues. 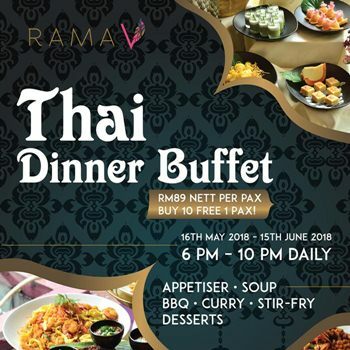 The special buffet will offer a selection of seafood on ice, five kawah, bubur lambok, Mongolian grill, D24 durian ice cream, free flow of durian and the festive roasted whole lamb as the buffet's highlight. 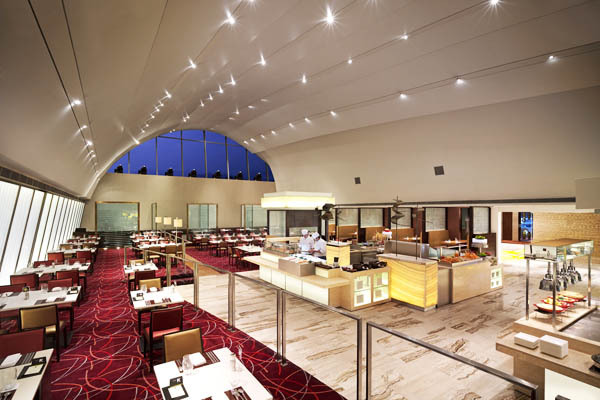 For those wishing to experience an all-in-one buffet dinner, LINK will be offering Ghazal performance throughout the length of the promotional period. 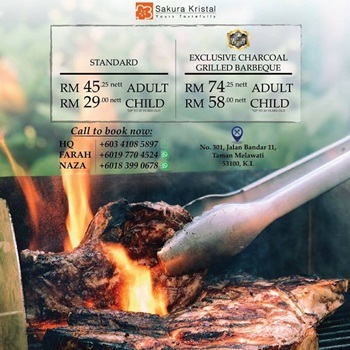 Buffet price is RM168 nett per adult. 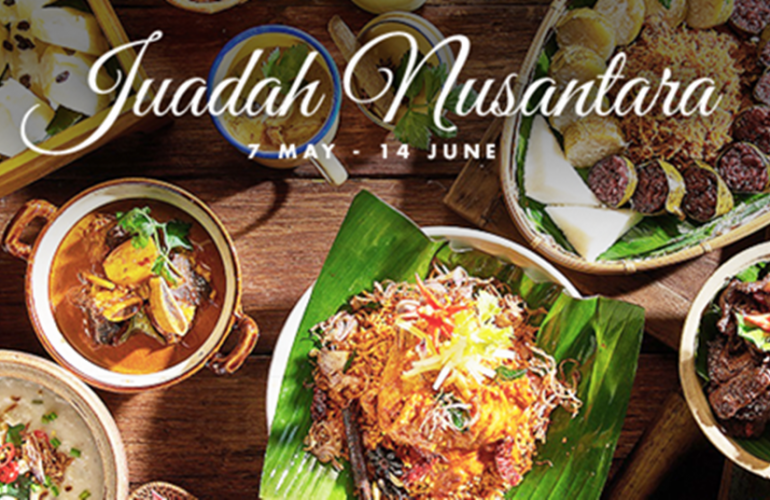 Inspired by the neighbouring countries of Malaysia, Chef Zam and his team have prepared Tradisi Nusantara dishes for this Ramadhan buffet. 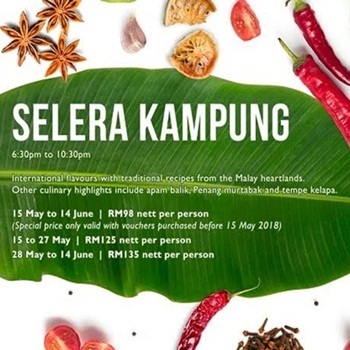 Be spoilt for choice as you take your pick from an array of Asia Signature sumptuous delights include Ayam Panggang Madu, Ikan Patin Gulai Tempoyak, Sambal Udang Petai, Daging Masak Hitam, Salad Pucuk Paku, Kerabu Mangga and many more! 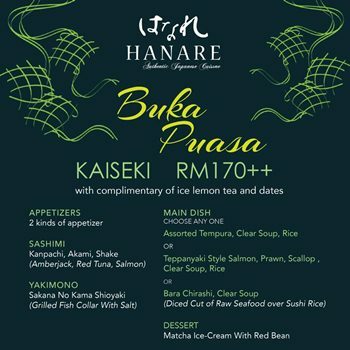 Buffet price is RM128 nett per adult. Imagine a vibrant, generous and tantalising spread of food lined up neatly on shining marble table tops, you know this is one feast you wouldn’t want to miss. 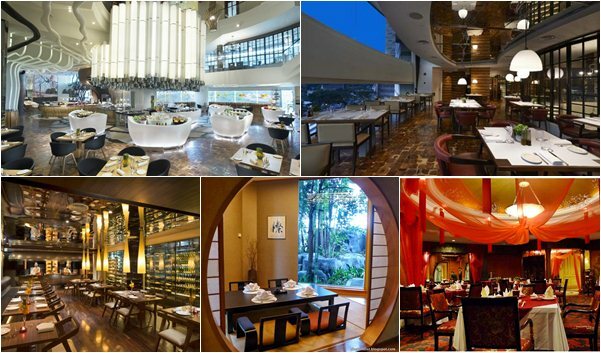 Other than the “al fresco” urban park feel, Vasco’s also amazes patrons with its food of exceptional value. You may not find the spread very generous, but Vasco's makes up for it's lack in quantity with the highest quality. 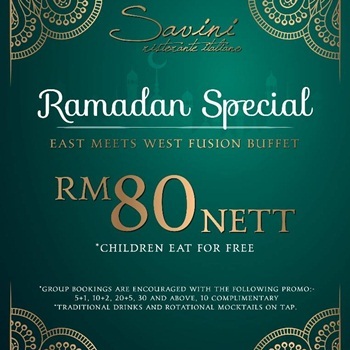 Buffet dinner is available daily from RM158 nett per adult and RM89 nett per child. The award-winning Cinnamon Coffee House is a restaurant of vibrant tastes, sights and sounds, embodying local and international gastronomic delights in a single venue. 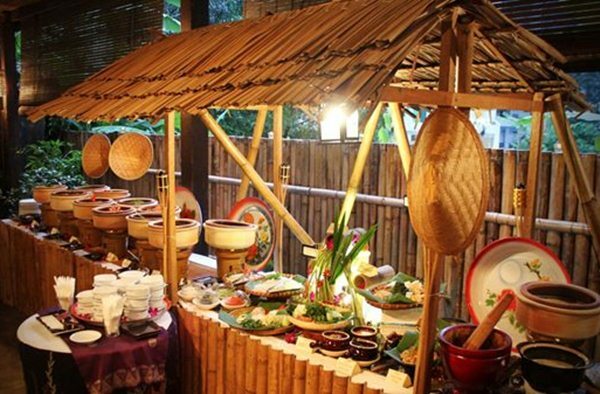 In place of the hot chaffing dishes of the usual buffet line is a series of “live kitchens” – featuring an open kitchen concept which also includes a garden terrace for alfresco dining. 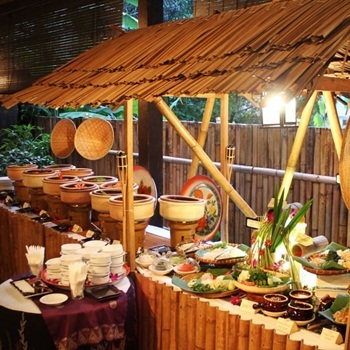 The restaurant features different buffet dinner themes every month. 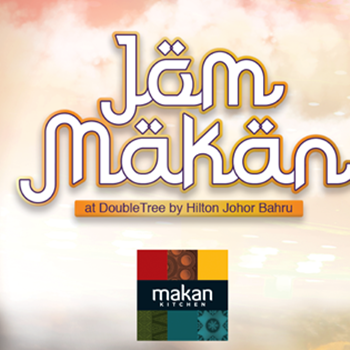 RM118 nett per adult and half price for children. 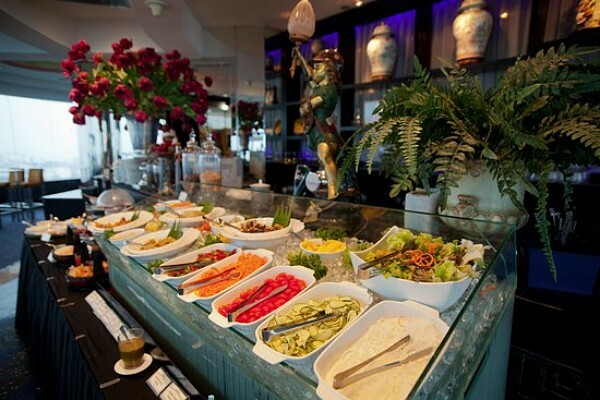 One of the best all-day dining and international buffet restaurants in Kuala Lumpur, Gobo Chit Chat offers a variety of local and international dishes. 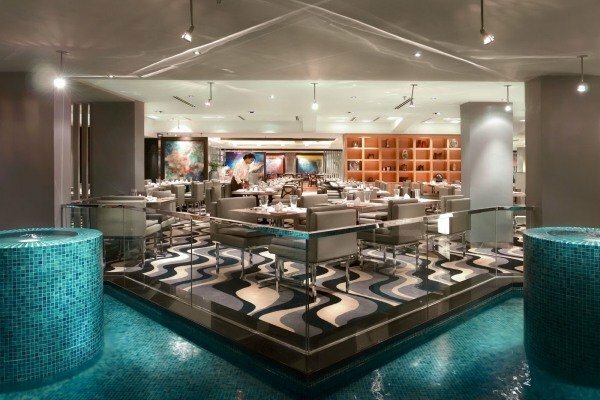 The restaurant buffet counter features a Japanese sushi bar, appetiser bar, open noodle kitchen and bakery, and a private dining room that can seat up to 10 guests. 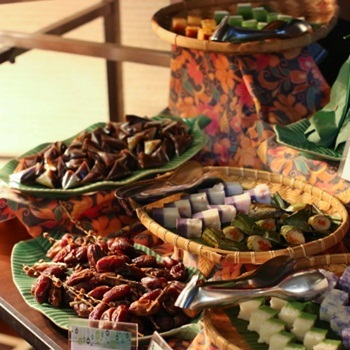 The restaurant runs different buffet themes everyday from Nyonya delights to Seafood BBQ buffet. From RM122 nett per adult. Located right opposite Pavilion KL, feed your growling stomach with The Mill Cafe’s eat-all-you-cat buffet after your weekend shopping spree. Seafood lovers will love this sea-rious deal that the restaurant is currently promoting. 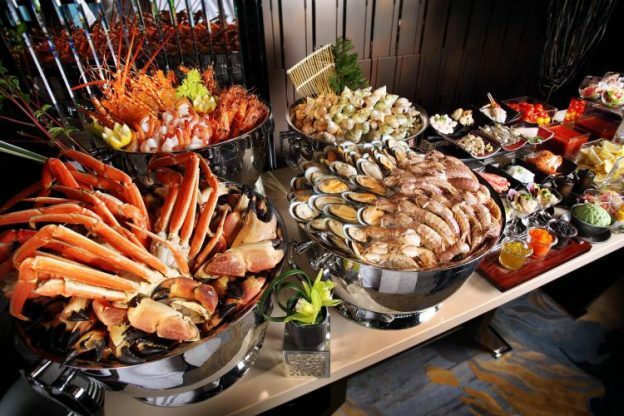 If you have an insatiable appetite for prawns, oysters, squid and more, book now to sample their Ocean’s 11 seafood buffet which is available on every Saturday from 7pm onwards. RM160 nett per adult. 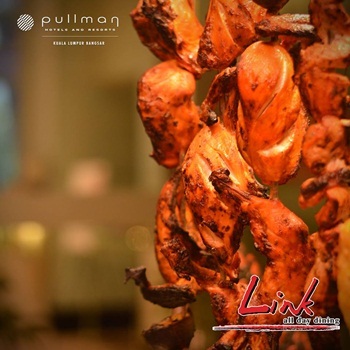 Fill up your gastronomical needs all day, every day with LINK, which offers breakfast, lunch and dinner buffet with live cooking. The restaurant is currently having seafood buffet night on every Friday and Saturday, from 6pm onwards. RM125 nett per adult.